A recent post on our community forums inspired me to follow up with one of our community members called Dan and write this article. I love it when our customers get value from what we do here at Hornbill, so when I read this comment I just had to find out more. I contacted Dan and asked if he would mind me quoting him and would he mind me asking a few questions that I could perhaps blog about, he very graciously agreed and this is what he told me. 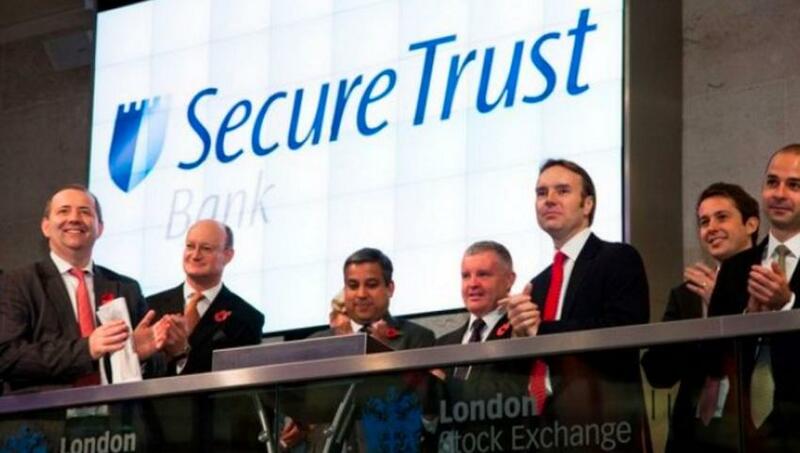 Can you give me a brief background of who you are and what your role is at Secure Trust Bank? My name is Dan Munns and I am the IT Service Operations Manager at Secure Trust Bank. I have been with STB for almost 18 months. 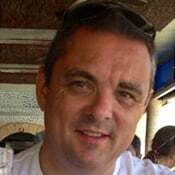 I spent 12 years in the military in an IT / Telecoms role and since leaving have worked for the NHS and various telecommunications companies in Service Desk Manager type positions. What Service Desk tool was in place at STB before Hornbill Service Manager? What other service desk tools have you used in the past? How does Hornbill Service Manager compare? The first time I saw Hornbill Service Manager I thought it looked very simple and intuitive. Having spent a lot of time creating BPMs and really seeing what it can do, what seems simple at the customer side can have some quite complex processes behind it. I came into STB with no knowledge of Hornbill, but after using Hornbills ‘Training for Life’ service and spending a day with a Hornbill Product Specialist the BPM creation process was thoroughly explained and demonstrated along with other Service Manager features. This made the whole process of building our instance a lot easier and along with the customer forums and Hornbill support team it all came together to make the process an enjoyable one. In the headline quote above you stated things have gone well, can you expand on that? After our Go Live a number of our customers / end users have commented on how good the new system looks and feels and how simple the service portal makes the process of logging requests and keeping up to date on their progress. Other than our Service Desk, Service Manager is being used by our three development teams who have all praised the new system and how easy it is to keep on top of their open tickets. The tasks / activities feature really helps with ‘what do I do next’ issues and making sure nothing is missed. I have since been approached by our HR, Finance and Facilities teams who are interested in using Service Manager to manage their requests and make the service portal a ‘one stop shop’ for all request types around the business, in this regard Hornbill is helping us deliver a broader Enterprise Service Management strategy to help transform and streamline the way our organisation supports its employees. I do love how easy it is to create custom business processes. As I have mentioned before, there is no requirement to know programming or write code and almost everything can be done with just a few clicks on the mouse. Another feature that I like is the Document Manager application which allows FAQ documents to be published on the service portal as well as provide an ‘in house’ non user-facing knowledge base for our analysts. I think the best ‘feature’ though is more to do with Hornbills way of working rather than a single feature of the software itself. There is the wiki for providing an online ‘user guide’ and a very active support community which has provided me with a lot of ideas and assistance since taking on Hornbill for our service management solutions. Hornbill are also always open to new ideas and changes, and their Continuous Delivery approach means we get updates with no pain, no upgrade projects and no waiting, its all very fast and effortless, and if I do find an issue, their support team is always on hand, and quick to respond. Most things I would like to see in Hornbill are already on the roadmap, thanks mainly to the previously mentioned active community. I would like to see the ability to segregate things in the admin console to make sure that teams can only see things relating to their own team as when we add new teams and departments into the solution some colleagues will have access to be able to make changes to the business processes and progressive captures. Hornbill is a platform that is designed to be used beyond IT and just as Dan has experienced within his own organisation, there is a natural and organic expansion of service management across all departments in an organisation that need to deliver service to their workforce. The tool alone is never the answer, but a fresh and innovative tool will speak for its self and can be a great catalyst to help drive innovation within an organisation. There are real and tangible cost benefits for any organisation deploying an ESM strategy, with Hornbill that process can be simple, organic and risk free.